I was born in 1974. I was born a little too late to appreciate Aretha Franklin (although she was awesome in The Blues Brothers) growing up. Hitting my musical discovery peak in the mid to late 1980s was a weird time in music. Thankfully, I was born too soon to be thrust into the boy band movement, but I was a tweener, on the edge. My main musical influences were Michael Jackson and a fledgling little genre called rap. Before I settled into Beastie Boys and moved on to punk that ultimately resulted in me discovering my band Pearl Jam, I was transfixed by the powerful vocals of Whitney Houston. She was my generation's Aretha and she blazed a trail that wannabes such as Paula Abdul and Britney Spears would struggle to follow. She was a modern day diva in every sense of the word and her turn in The Bodyguard resonates to this day when we see Lady Gaga in A Star is Born. This week, Whitney looks at the troubled singer's life and tragic death through interviews with friends and family. The film also allows the singer to tell her own story in her own words with never-before-seen footage. One thing is clear though, for all of the success that Whitney enjoyed, she was tangled up in things outside of the singing that would ultimately lead to her downfall. Her life is the very epitome of a Greek tragedy and it plays outs vividly over the course of the film's two hours. 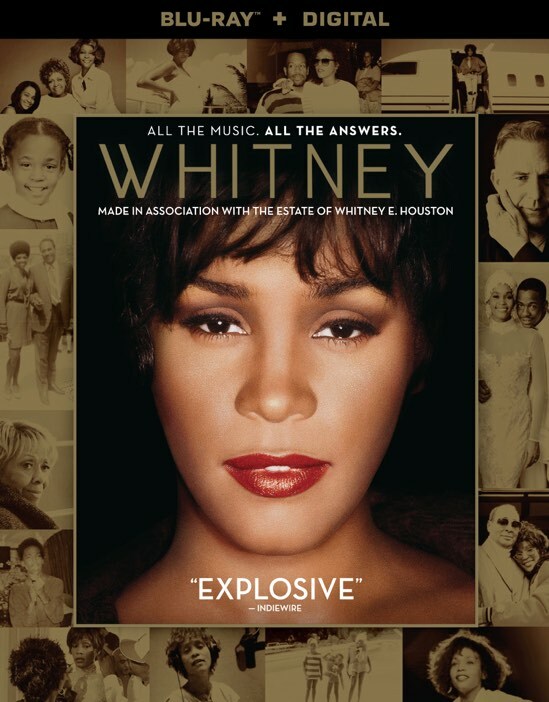 As my musical tastes started to swerve away from Whitney Houston, I only remained connected to her from her music and movies. I wasn't aware at the time of the struggles that she faced in her personal life. I mean, sure, as much as the tabloids vilified Bobby Brown, that aspect of her life was always in the public consciousness, but she lived and died before the advent of the 24-hour news cycle and social media. So, as I sat down to review this film, I was aware of the general story but keenly unaware of the specific facts. As the film unspooled, I was saddened by the tragedy that unfolded before my eyes. Some people claim that fame is a beast that consumes those that it props up and in the case of Whitney Houston this is true. She clearly was at the top of the world and then it all came crashing down. And yet, while it's easy to sit back and criticize from afar, the truly magical aspect of Whitney is how the film pulls back the velvet rope of celebrity to give you an intimate look at the megastar. Thanks to the powerful interviews with family and friends, the viewer is given a rare glimpse at the tragedy from a personal perspective. It's this personal approach by director Kevin Macdonald that truly makes the film special. The film is more than a simple rehashing of a tragic life, like any good tragedy, it also offers a message to young celebrities out there. If someone as unreachable as Whitney Houston could be ravaged by drugs and bad influences resulting in her death, then it could literally happen to anyone. Heck, you don't even have to be a celebrity to find a message here. This tragic story is played out every day in America and you don't have to be an international sensation to fall susceptible to its claws. No, Whitney is a warning to anyone whose life is at a turning point. The decisions we make do affect those around us even if we don't see it at the time. They can have lasting effects that continue to ripple through generations. You don't have to search far to see how Whitney's decisions have impacted her family when you consider that her daughter died in a similarly tragic way. But there is hope. Perhaps the most impressive thing that the film does is to inject some hope in this tragic story. That hope is alive in the viewer to heed the warnings from the film so that this cycle of tragedy might someday be broken. 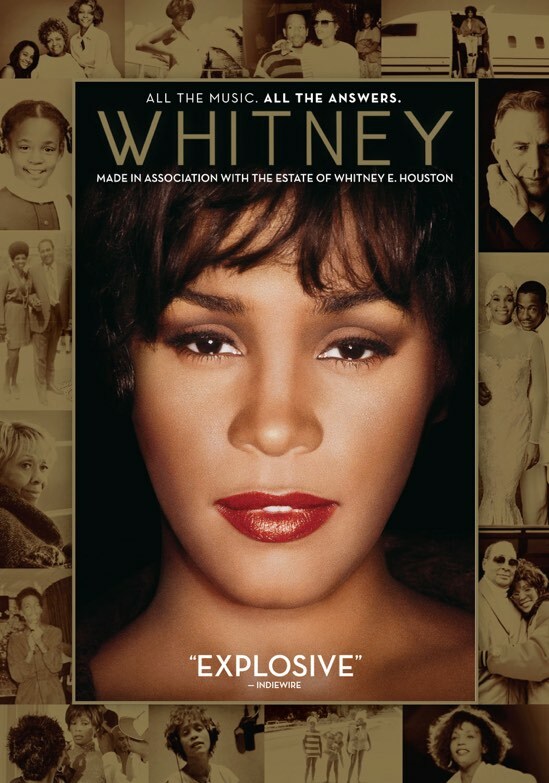 Whitney is now available on Blu-ray and DVD.